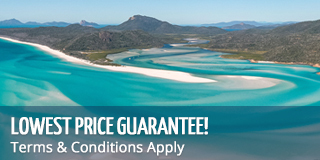 Illusions takes you to some of the best snorkelling and diving locations in the Whitsundays with the privacy, comfort and adventure of your own private charter. Try snorkelling or scuba diving, with both intro and certified divers welcome! Stable catamaran for the best in comfort! Illusions offers you the perfect way to snorkel or scuba dive in the Whitsundays alongside all of your closest family and friends. During your private charter, you will get to enjoy all the comforts of Illusions as she sails the Whitsundays, while avoiding the crowds and spending time with your loved ones. 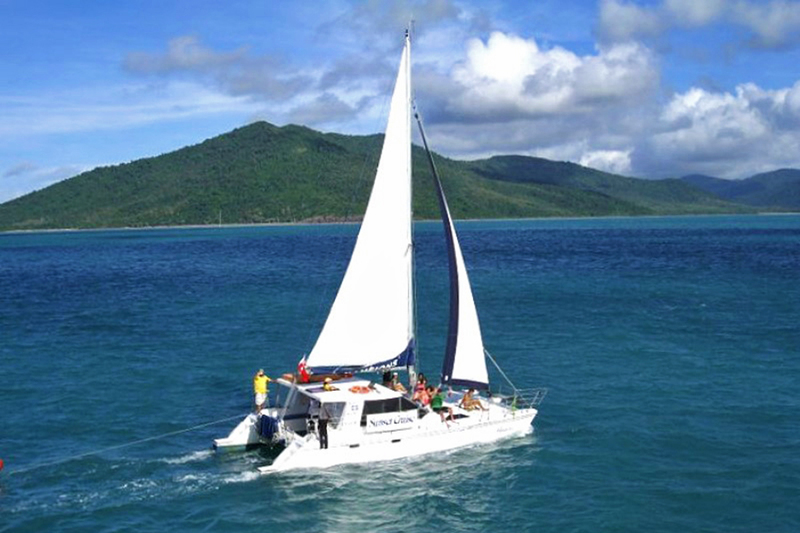 This comfortable 12 metre catamaran will venture to the beautiful fringing reefs of Blue Pearl Bay, near Hayman Island, and to Langford Reef, where guests can snorkel or scuba dive and experience the wonders of the underwater world. It's a lovely relaxing cruise taking a maximum of 20 passengers with plenty of deck space for sunbathing or spotting wildlife as you enjoy a day of adventure.. There is also undercover areas for protection from the elements and a licensed bar on board. Illusions Private Charter offers the ultimate day of diving and snorkelling in the Whitsundays with comfort, privacy and adventure rolled into one. Please note, at time of booking we require a deposit with the remaining balance due 2 months prior. Cruise, snorkel, scuba dive or simply relax and enjoy the scenery. Including lunch, snorkelling gear and with the options to purchase scuba dives is a great choice for those just wanting a dive trip. Illusions will make its way to the beautiful and well-known Blue Pearl Bay - one of the gems of the Whitsundays. Located off of Hayman Island, it's a great place to snorkel or dive and enjoy the plethora of wildlife that waits below! With Sergeant Majors, bright fusiliers and giant Maori Wrasse, this is truly an amazing place to explore, relax and enjoy an adventure. Afterwards venture to Langford Island, which is known for its turtle population. You can snorkel of dive here or even take the opportunity to walk along the beach with views of Hayman Island, Bali Hai, Arkhurt, Bird Island, Hook Island and Stonehaven. Whether you choose to snorkel (free tuition is provided for those experiencing this for the first time) or take an introductory or certified scuba dive with our own qualified instructor, you will be delighted at the range and diversity of the coral in the Whitsundays. As is typical of fringing reefs, the range of coral is extensive, with all sorts of hard and soft corals waiting for you to explore their fragile beauty. Illusions is happy to offer Bathyscopes for those who want to try something new from above the water! This allows for a whole new point of view that you can enjoy from the dry comfort of the dinghy. Illusions offers diving to both introductory and certified divers so everyone can enjoy the thrill of diving below the waves! All dive gear and instructor is provided. At the end of your diving and snorkelling, guests will get to enjoy a buffet lunch before making their way back to Airlie Beach. Underwater cameras, chocolate bars, alcohol, stubbie holders, t-shirts and caps. All alcohol is to be purchased from the licensed bar on board - NO BYO alcohol allowed on board. Scuba diving is also an additional cost - all diving can be decided on and paid for on board. Your safety in the water is our primary concern. To ensure your comfort and safety introductory divers must be 12 years or over and they may require that you have a Divers Medical Certificate for certain medical conditions. Certified divers must be 10 and over. Please read the following questions carefully: If any of these conditions apply to you, you will require a Divers Medical Certificate before you can scuba dive. Please note that you need to allow time prior to the boats departure to check in, please ask us for more details. All client cancellations forfeit up the non refundable deposit and all client cancellations made less than 2 months prior to departure will result in complete forfeiture of the full price of the sailing holiday. Please note if the balance is not paid on time the booking is cancelled and deposit you have paid forfeited. If the sailing company has to cancel the trip (prior to the boat's departure) then a refund will be given minus card fees. We strongly recommend that you have travel insurance, especially during the wet season.